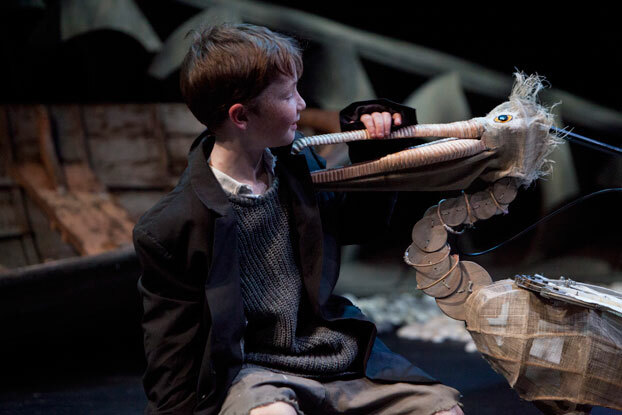 Storm Boy is brought to life by a team of amazing artists, puppet-makers, designers, actors and puppeteers. In the spirit of the creativity we see on stage in Storm Boy, we’ve created a fun art activity for kids (and their adult friends!). Download the below pdf of our Storm Boy inspired pelican, and make it into whatever you’d want your own pelican friend to be. Don’t hold back – decorate your pelican however you like, with whatever art supplies you like, to give it a unique personality. Share you pelican with us via Instagram - don’t forget to tag @sydneytheatreco #STCStormBoy so we can see it - or drop it in the box outside the theatre when you’re at The Wharf, and go into the draw to win a pack of 36 Derwent Studio Pencils. We will share a selection of pelicans on Instagram at @sydneytheatreco, so keep an eye out for yours! 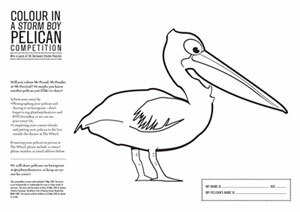 Entries are welcome from everyone, whether you’ve been a pelican fan for seven or 70 years – colouring is soothing for children and busy adults alike! Storm Boy, 24 Apr - 17 May 2015, Wharf 1 Theatre.